← BMW Makes Joy. And You? Industry transformation offers valuable lessons for solution marketers. In fact, industry transformation often gets at the very heart of what a solution is and the benefit that it provides to customers. Media in transition. With the advent of the Web (not exactly a new thing by now), social media (which they’re all trying to understand) and now tablet devices, the media and entertainment industry continues to transform itself. It’s been a long slog as many companies have failed to make the transition to the digital age, believing that their product was inextricable from its medium. Newspaper meets newspad, er news publication. With the launch of The Daily last week, News Corp. (the second largest entertainment company behind Disney) created a publication that marries the base content of traditional media (think news stories, photos) with interactive features. According to the company, it’s “the first daily national news, entertainment, and sports publication created from scratch for the iPad” (TheDaily.com) and eventually for other tablet devices as well. While The Daily benefits from traditional reporting, it also incorporates rich media, interactive and social features: “Articles have interactive elements like galleries, videos, 360 degree photos, hotspots which you can tap for more info.” Users can also post articles on Facebook, Twitter and email articles and save them for later. I applaud News Corp. for rethinking what a publication or media offering can be. Yes, it’s a publication but with a blend of media, The Daily is much more. Which do you want: a reading tool or an experience? In the Boston area, the Boston Globe offers the Globe Reader, a webified version of the Globe. Yes, it’s better than reading articles on the BostonGlobe.com website but the Globe Reader includes only text and images without the interactivity of the Web. It’s a navigation and reading tool, not a media tool. The Daily is an experience. And that’s why The Daily is so interesting. News Corp. has decoupled news and entertainment from paper and TV, and rethought what it could be in the new world of tablets and social media. 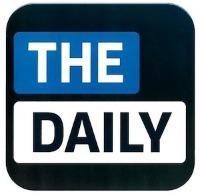 While it’s more text-centric than other media, The Daily offers a true mix of media and takes advantage of the features available on the iPad. The Daily is providing a complete and immersive experience. Does the solution solve a real problem that users care about, and will be willing to spend money to fix? This solution is compelling – consumers should be willing to pay for this. Does the solution incorporate the user, process, content (or information), hardware and software, and all required supporting services? This is a fairly complete and integrated experience for the iPad. But as far as they’ve gone, they can still do more. Is the solution tailored to the needs of users? Users can control the experience but NewsCorp. has not identified who the target demographic is, so we can’t evaluate it against its target market. Does the solution represent a reasonable value? Value equals total benefit less total cost. Cheap products are not always great values. Rich with content and cheap with price, this looks like a solid value. In part II, I’ll talk about the lessons that solution marketers can learn from The Daily.